Bernadeth Bumanglag Bumagat, a 26-year-old single from Quirino Isabela, Philippine. Her widowed 55-year-old father is a driver. She has one younger brother who is serving the army. After completing her high school education, Bernadeth helped her parents with the household chores for few years. In 2009, she was selected to work as an all round housemaid in Tarlac. Currently, she is selling cooked food at a small stall in her province while waiting for her application to be selected. 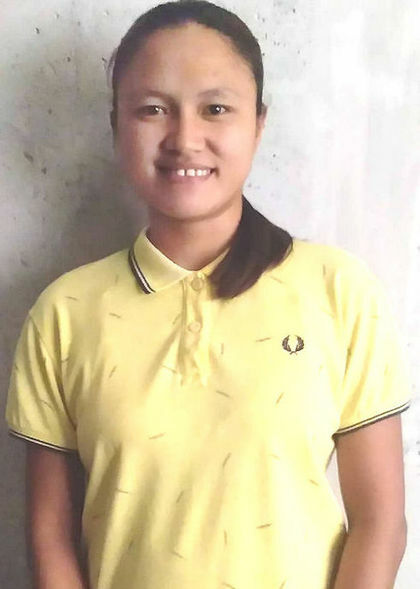 As an experienced housemaid in Philippine, she is confident of looking after children and is willing to take care of elderly and be trained to carry out basic caregiver duties. Her hobbies include cooking Filipino dishes such as soups, stir fry vegetables, adobo and fried rice. 2009 - 2010 (Tarlac, Philippine) worked for a Filipino family of 5 comprising Sir, Mdm and three children aged 15, 7 and 3 living in a landed property. She would wake up at about 5am to prepare breakfast and clean the kitchen. She would wake the 3-year-old up and shower him before bringing the 7-year-old to school. When the children were in school, she would do all household chores like ironing, cleaning the floors, washing of toilets, doing the laundry and cooking. She knows how to cook a variety of Filipino cuisine like adobo, pakpet, stir fry vegetables and noodles. She worked for this family for about a year before returning to her province to care for her disabled mum who later on passed away in 2015. Upon confirmation, Bernadeth Bumanglag Bumagat, will undergo training in an accredited centre and POEA training and processing prior to deployment to Singapore. She can be interviewed by phone or video upon request.